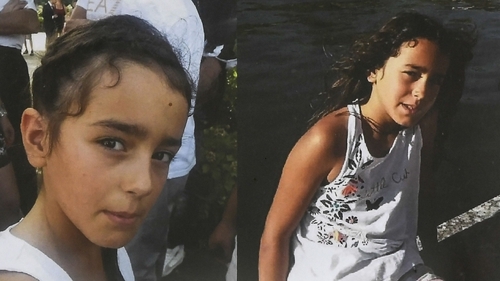 French police have found the remains of an eight-year-old French girl who vanished from a wedding in the Alps last August in a case that gripped the country, a prosecutor has said. Chief suspect Nordahl Lelandais, a 34-year-old former soldier, guided investigators to the site in the hills after a trace of her blood was found in his car. Lelandais, a former military dog-handler, was a guest of the groom at the marriage near Chambery in the alpine Isere region and was charged with her kidnap and murder last November. Sources close to the investigation said Lelandais began "cooperating" in the search for Maelys's body after he requested to speak to magistrates. His change of heart is thought to have come after a trace of her blood was found in the boot of his car. The suspect from the village of Domessin, 30km from Chambery, was also charged in December over the killing of a hitchhiking soldier in April. During the six-month investigation into the disappearance of Maelys, several clues pointed towards the former soldier, including a trace of her DNA found in his vehicle, mobile phone data, and CCTV images from the night of her disappearance. The footage shows a car, identified by investigators as belonging to Lelandais, with "a faint silhouette in a white dress" like the one Maelys had been wearing. Her parents "recognised elements of the dress, particularly the strap", their lawyer Fabien Rajon said. Lelandais's defence had previously challenged the chronology of events as described by prosecutors.